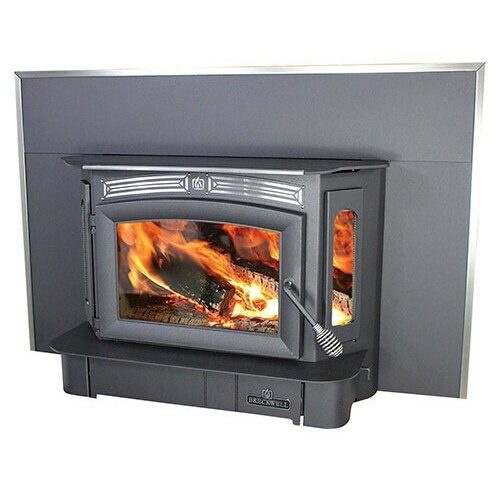 The SW940 from Breckwell will change your fireplace and home decor. The ultimate in design, quality, and engineering, this bay-front unit is impressively fuel-efficient while the over-sized glass door and arched side windows offer a comforting atmosphere with the visual warmth of a live flame. With a full fireplace surround and trim, the SW940 will be the perfect expression of style for your home. Heats up t 3,200 sq. ft.